Our company was born on 2003 and its main objective was to make all the import and distribution process for foreign goods in the Chilean market. We will provide you with end-to-end solution that enables you to confidently outsource all responsibilities of your China sourcing activities, so that you can relax and avoid all the difficulties commonly associated with international trading with China. 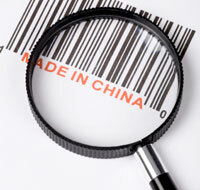 All the assistance needed in market research for Latin-American companies that want to introduce their products into the Chinese market with selected buyers. Our company has specialized in import and export fresh and frozen seafood from the Chilean market. It represents important producers of fishmeal and fish oil as well.